Another week gone by with nothing used and, thankfully, nothing added. I did have a productive weekend though. I was able to finish quilting the straight lines of Flowers and Baskets with my walking foot yesterday. So this week I’ll be starting to quilt the blocks with the flowers and baskets. I will also start playing with designs to go in the middle of the black squares between the flowers and baskets. I want it to be big and flowy not small or even a middle sized motif. 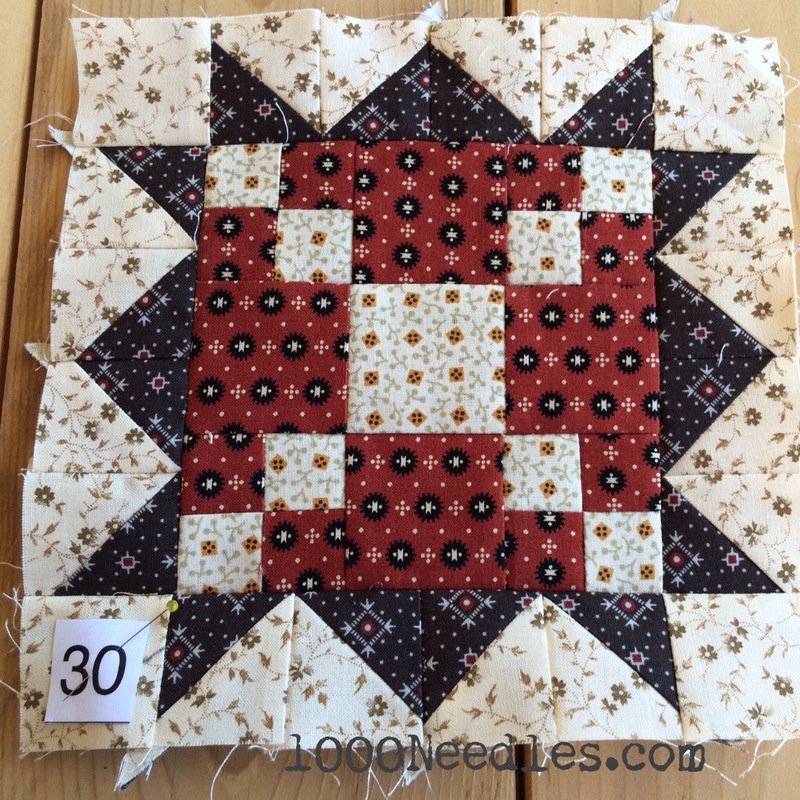 The small quilting will make the quilt a little stiff and I do not want the quilt to be stiff. I also will need the design to be easy for me to do as I’m still working on my FMQ skills. That’s another thing I was able to do this weekend. I practiced a bit on my feathers. Whew! It’s been 10 months since I’ve done that and I need the practice. I first started doing the feathers at PIQF last year (2013) at a Sue Nichols class on machine quilting. We used the Bernina 750 and I fell in love with the machine. However, my current machine (Bernina 330) does everything I need it to – it sews a straight line and I can FMQ on it. So the expense of the 750 just didn’t seem worth it. While practicing I was able to compare my FMQ practice that I did then with the FMQ practice I did now – and recognize the quality of the stitch is so much better on the 750 than on my 330. I’m not sure if it is my abilities but I have more experience now with FMQ than I did then and it was easier getting the stitch quality from the 750 than it was from the 330. So – that’s what you pay for when you get a very expensive machine. ;0 Since it is not something I choose to spend my extra money on right now – I’ll have to just keep practicing with the 330 and know that with time my FMQ skills will improve regardless of the machine. The other items on my to do list this weekend was Hampton Ridge and Raining Cats and Dogs. For Hampton Ridge, I really want to get caught up, but I’ve lost the motivation for this BOM. I haven’t really learned anything new for awhile and I’m just putting pieces together, paying close attention to detail to obtain the points I desire, and I’m kind of bored. That’s really bad as I’m already 3 months behind and I do not want to be further behind. The more behind I get the more my motivation goes away. Each kit contains the making of 4 blocks and for Kit #8 I’ve only finished 1 of 4 blocks. Granted I’ve got all the borders finished for the other 3 so if I push myself I could get the other 3 done but I’m not sure I want to. For Raining Cats and Dogs – Block 7 – this is the last block. I put together the backing last weekend and this weekend I wanted to get the image 1 (a dog) traced onto it for me to do over this next week. I may do that first before I start working on Block 31 for Hampton Ridge since that will not take a long time. 3 – Hampton Ridge – Block 31, 32, and 33. Looking forward to seeing Hampton Ridge complete. Love what I’ve seen so far. Your Hampton Ridge bock is gorgeous.